At that time they will be introducing a new set of league supporter packs which will mean that the Bestiary Supporter Packs will leave the store. The Flashback event will start at the end of this working week! There are two pairs of the Bestiary Supporter Packs available in PoE store. Each of the two pairs has different contents, so you can choose whichever one (or both) you prefer. You can upgrade from the smaller one in a pair to the larger one. If you're interested in getting one of the Bestiary Supporter Packs but you're not sure you'll be able to get one in time, you could consider setting up a payment plan which can reserve a pack for you for up to six months after the commencement of your plan. Additionally, if you have purchased any plain points packs since February 15th you can use this in an upgrade to one of the Bestiary Supporter Packs! You can credit up to 80% of the value of your desired supporter pack towards an upgrade. For example, if you purchased a $10 point pack you could then upgrade to the Harpy or Manticore Supporter Pack for $20. You'd then receive the remainder of the contents of the pack, excluding the points you already purchased before the upgrade. 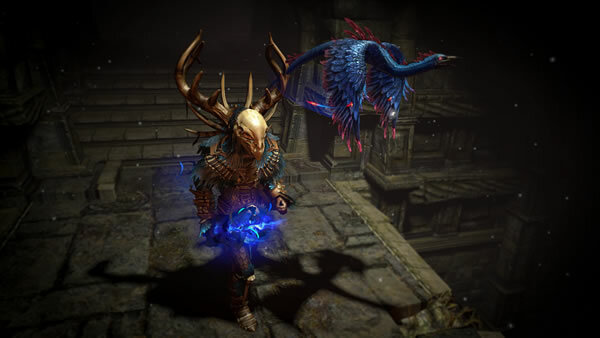 Finally, good luck to you, we will update the news about Path of Exile in real time, if you don't want to be left behind in the game just because of lack of orbs, please buy poe orbs cheap on U4GM.